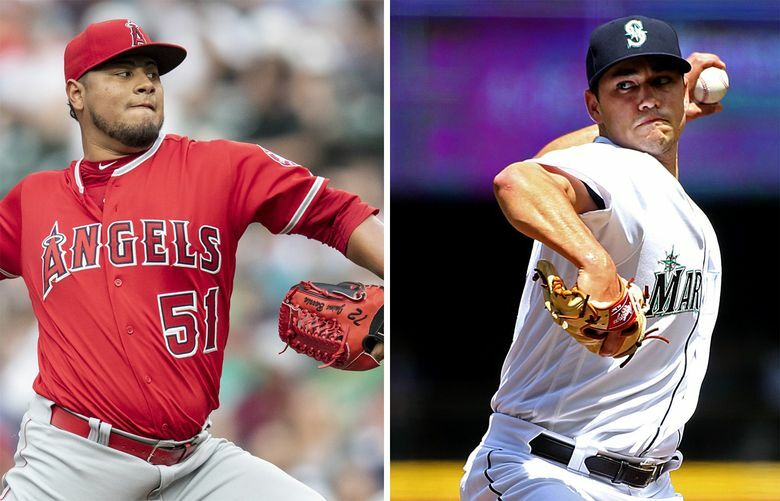 After dropping the opening game of the series, the Mariners are back in action with Marco Gonzales on the mound in the middle game of their three-game set with the Angels. Follow here for live updates, analysis and more from Angel Stadium. 7:07 p.m. | Angel Stadium | Anaheim, Calif. The Mariners opened their series at Angel Stadium by losing their fourth game in their past six, falling four games back of first-place Houston. Facing the Angels for a second straight start, Mike Leake was knocked around for seven runs (five earned) on 11 hits, forced out after just four innings. With Mitch Haniger‘s 18th home run of the season, the Mariners gave Leake a 3-0 lead to work with after the first inning, but it was all Halos after that. Seattle Mariners fall to the Angels. Mailbag: Will Felix pitch in the postseason if the M’s make it there?